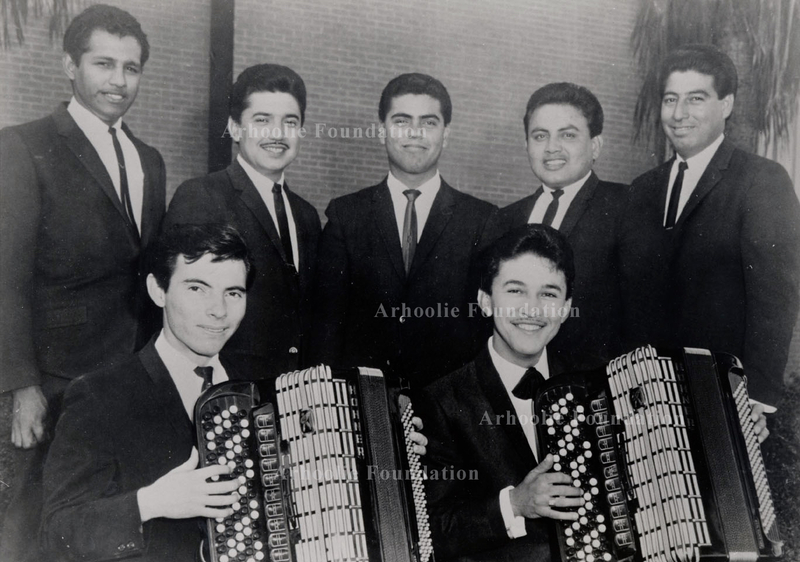 El Conjunto Bernal, founded in the early 1950s by two teenaged brothers from a poor farmworker family in South Texas, is recognized as one of the most innovative and influential groups in the history of Mexican-American music. The group, which donned some of the style and fashion of the emerging rock era, achieved a popularity bordering on rock-style adulation. Paulino Bernal, the younger brother and creative force, became one of the true superstars of Conjunto music as musician, promoter and producer. They had many hits on various South Texas labels, including their own, enjoying a 20-year commercial streak that ended only when Paulino left the business as a result of alcohol and drug addition, becoming a born-again Christian. The Bernal brothers, Eloy, born in 1937, and Paulino, born two years later, both nurtured a love for music as boys growing up near Corpus Christi, Texas, on the Gulf Coast. They were born in Raymondville but moved to nearby Kingsville after their parents divorced, forcing their single mom, Guadalupe De Anda Bernal, to take house-cleaning job to support the boys and their three sisters. Paulino dropped out of school in the seventh grade and went to work shining shoes and picking crops to help support the family. Despite her limited means, Paulino’s mother managed to buy him a guitar from a neighbor. It was his first instrument and he was soon strumming for tips in restaurants and cantinas, as accompaniment for an elderly accordionist. Customers would drop coins into the hole of his guitar, which he would turn over and shake at night to release his earnings. Paulino soon taught himself accordion, inspired by conjunto pioneers Valerio Longoria, Narciso Martínez and Tony de la Rosa. Meanwhile, Eloy learned to play a bajo sexto given to him by his father. 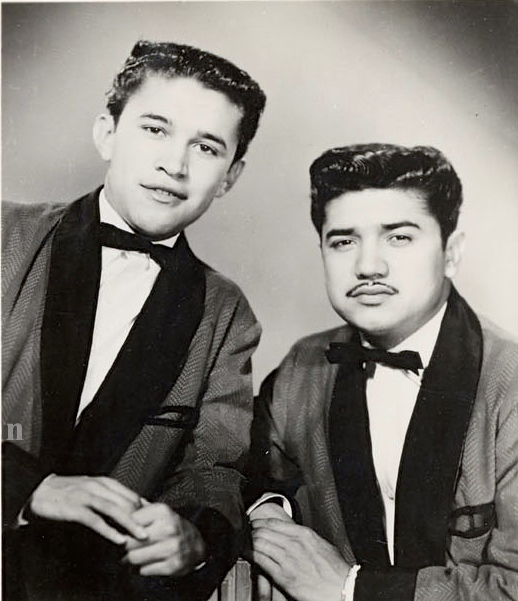 In 1952, when they were just 13 and 15, they launched their musical career as Los Hermanitos Bernal, the little Bernal brothers. One of their first gigs was a dance in nearby Premont, joined by their friend Adan Lomas on drums. Their determination to escape the family’s poverty motivated the emerging musicians to come up with a unique sound in conjunto music that would make them stand out. Both were good singers and Eloy was soon known as the best bajo sexto player in the area while Paulino quickly became a master of the accordion. In a 2014 profile in The Monitor of McAllen, Texas, Paulina recalled that he would skip school to sit in on recording sessions, often at Ideal Records, the legendary independent label co-founded by Armando Marroquín. "One day,” Bernal told the newspaper, “the accordionist didn't show up and I was there and I told Mr. Marroquín, 'I can play the accordion.' He said, 'Well, let's see how you do.' I played it as best as I could so he could like it. From there on, he would go pick me up in Kingsville and take me to play the accordion with other singers. Then he gave us the opportunity to record our first record with my brother and I. It was a hit." For the new record, they were christened with the name that would bring them fame, El Conjunto Bernal. They soon became one of the most popular conjuntos in south Texas, and throughout the Southwest. During tour stops in Arizona, the Bernal boys would share the bill, and sometimes sit in, with the Tejano orchestra of bandleader Pedro Bugarin, which played ballroom and tropical dance music. That collaboration with the big band, with its complex arrangements and sophisticated instrumental improvisations, inspired Paulino Bernal to experiment with the more traditional, simpler forms of conjunto music. In contrast to the usual vocal duets, the Bernal brothers also introduced three-part vocal harmonies to their conjunto, a sound that was widely popular in Mexico through the romantic guitar trios of the 1940s and 50s, such as the internationally acclaimed Trio Los Panchos. To perform the additional vocal part, the brothers recruited singer Ruben Perez. El Conjunto Bernal recorded prolifically for Ideal between 1955 and 1960, when Marroquin broke off with his partner and founded a new label, Nopal Records. The record executive took the Bernal brothers with him, but not for long. Soon, the musicians relocated to McAllen where they started their own label, along with business partners Joseph and Lillie Gonzalez, fusing their surnames to call it Bego Records. This was a particularly creative period for the band, which attracted some of the genre’s most talented musicians to join the group. Paulino Bernal also gained a reputation as a sharp businessman who identified great talent and had a knack for developing and promoting new acts. One of them was a then-unknown duo he first saw playing at a cantina in Reynosa in 1963. Their names were Cornelio Reyna and Ramon Ayala, and Bernal quickly invited them to record for Bego Records. The pair eventually became one of the most celebrated acts of its kind on both sides of the border – the legendary Relámpagos del Norte. Those legendary early Bego recordings are still a hot commodity among collectors. 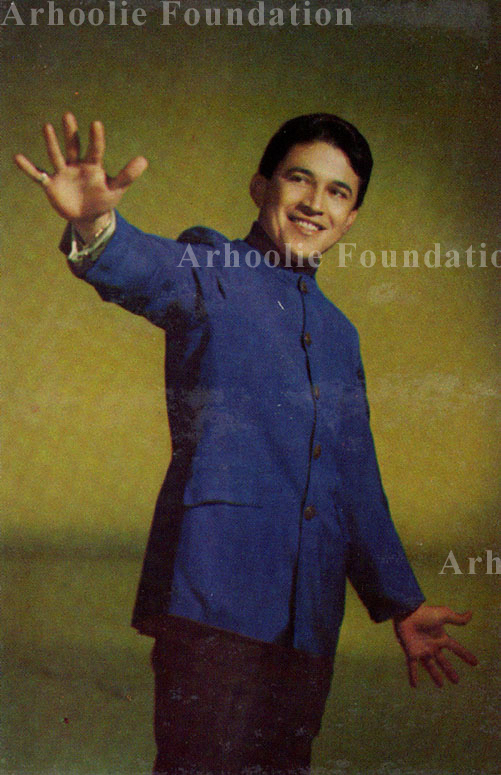 The label also released music from Carlos Guzman, Ruben Vela, Ernesto Guerra, Pepe Maldonado and Little Joe Hernandez. Paulino’s wily business acumen can be seen in his creation of a weekly dance event held every Monday, normally an off night for most musicians. According to the Monitor profile, Paulino first pitched the idea to the McAllen Civic Center, but seeking to lock down Saturday nights for the regular gig. The venue balked at his reservation request since it would interfere with so many other future bookings. When the venue offered Mondays as the only available time slot, Bernal snapped it up for weeks to come. Eventually, his weekly event, known as "El Baile Grande," became a popular Monday-night showcase for conjunto bands, including his own which often headlined. "It was the biggest dance, I'd say, in the state of Texas," Bernal told the newspaper. "Monday there was no competition and all the musicians were free (as in, not booked). Nobody would hire them anyway on Monday's. I had the choice of booking whatever I wanted to." In 1968, at the height of the controversial Vietnam War, Conjunto Bernal was invited play for the troops, a disproportionate number of whom were Chicanos from all across the Southwest. During the 21-day tour, organized by the USO, they crisscrossed Vietnam in three helicopters, one for the musicians, the second for the instruments and the third for soldiers protecting the performers. By the end of the decade, the Bego partnership was dissolved and Paulino founded another new label, Bernal Records, which continued to release hits by the Conjunto Bernal. However, Paulino eventually stopped performing with the group, devoting his time to the business side of running the label while also hosting a music variety show on local television. Eloy continued touring with the band, replacing his brother with new singers, including Ruben Perez and Laura Canales. But the glory days of Conjunto Bernal were gone. By this time, the excesses of success had caught up with Paulino Bernal, who like so many star musicians of that era had problems with alcohol and drugs. In 1972, he became a born-again Christian, thanks to the efforts of a proselytizing cook he had hired in a restaurant that he owned. The conversion changed his life and brought him back to music. Paulino gave up drugs, became a preacher and started yet another label, Bernal Christian Records. He again picked up his accordion, this time in the service of his religious beliefs, and quickly regained his popularity as a Spanish-language gospel singer. Tragically, his brother Eloy died in a car crash on April 22, 1998. He was 61 and still working when the tour bus he was traveling in had the accident took his life near Corpus Christi. "Eloy, in my opinion, is the greatest bajo-sexto player that I have ever known," Paulino Bernal said of his brother. "There is a lot of good musicians out there, but to me, he had the greatest touch to that bajo-sexto. He would spend hours just playing by himself, until he got the right sound, not only the chords or everything else that goes with it, but the sound on that bajo-sexto. (It was) like nobody else. Not only that, he's a great composer." Paulino Bernal has remained active even into his late 70s. He is still on the road as a traveling evangelist, renting dance halls and auditoriums to bring the gospel to people through the songs of Conjunto Bernal, played in the band’s same signature style but with Christian lyrics. During their illustrious career, the Bernal brothers accumulated every honor in their field. Their band was inducted into the Conjunto Music Hall of Fame in 1983 and the Tejano R.O.O.T.S. Hall of Fame in 2001. Individually, Paulino Bernal was inducted into the Texas Conjunto Music Hall of Fame in 2006 and Eloy was inducted posthumously in 2009. In December 2007, Paulino Bernal went back into the studio to record “El Maestro del Acordeon y Sus Polkas,” his first non-Christian recording in 36 years. The album was produced by award-winning musician Armando Lichtenberger Jr., a founding member of La Mafia at the renowned band’s Urbana Studios in Houston. The CD, which includes new versions of Paulino’s 70s hits plus new compositions, was nominated for a Grammy Award in 2008 as Best Polka Album. It was Paulino’s first Grammy nomination. "I did it to bring all those polkas into digital sound," Bernal told The Monitor. "Also to do some new stuff in there, to leave for the young people."